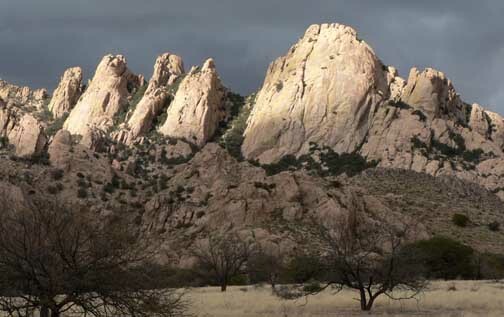 One of the most beautiful, tender and fragile locations of southern Arizona, Cochise Stronghold marks where the final Apache Chief Cochise defended his land. Visiting means paying homage to as well as honoring the sad history and memory of the Apache tribe. Recently with monsoon rains, it was necessary to pay a visit to the magical waters in the creek nestled within the canyon. The creek was running steadily. Speckled light and delicate trickling of water. We also spotted bobcat prints and smelled au de bobcat scent. The breeze was cool coming off the waters. 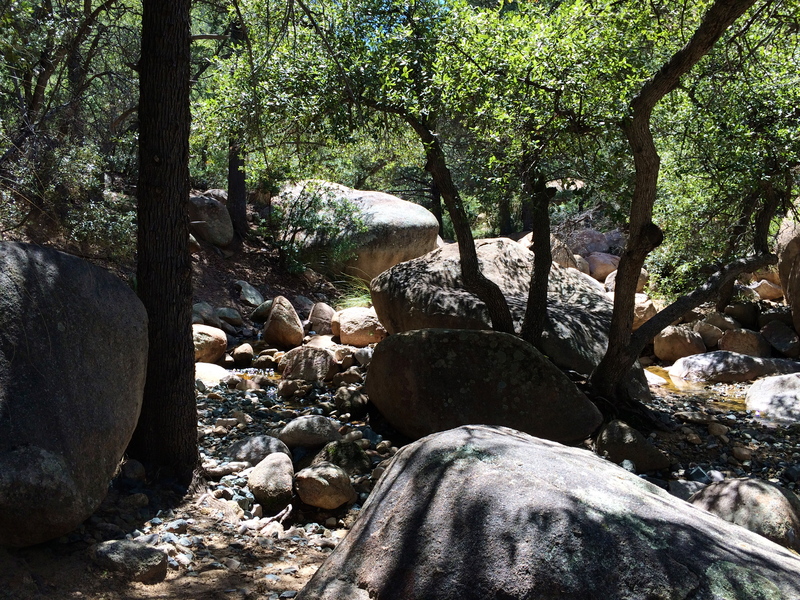 Being a weekday, there were no other visitors to the campsite, making the quiet of the forest powerful. We stuck our feet in the cold water and made a little sketch. 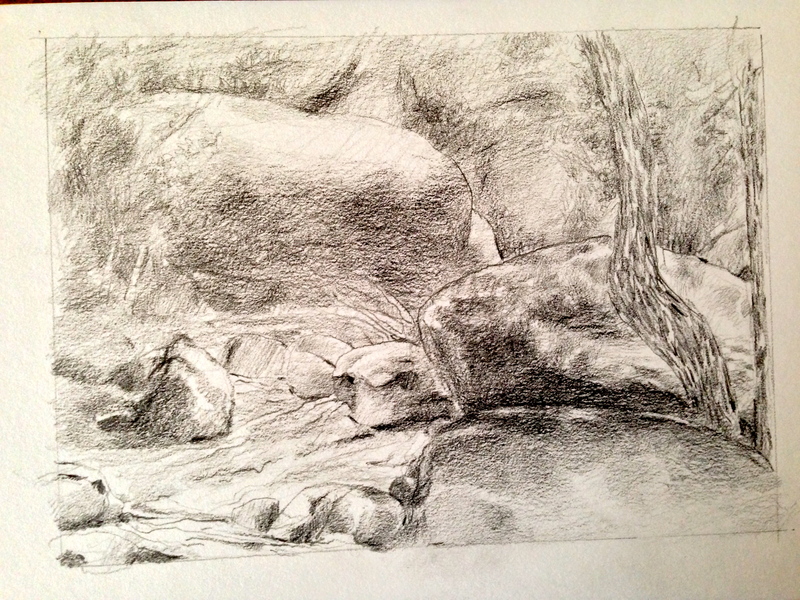 Small pencil drawing in the creek. A view of the beautiful Bookkeeper’s Quarters and the progress of a pastel drawing, at the historic Empire Ranch near Tucson.